Originally made under contract for government agency, possibly involved with wilderness management. 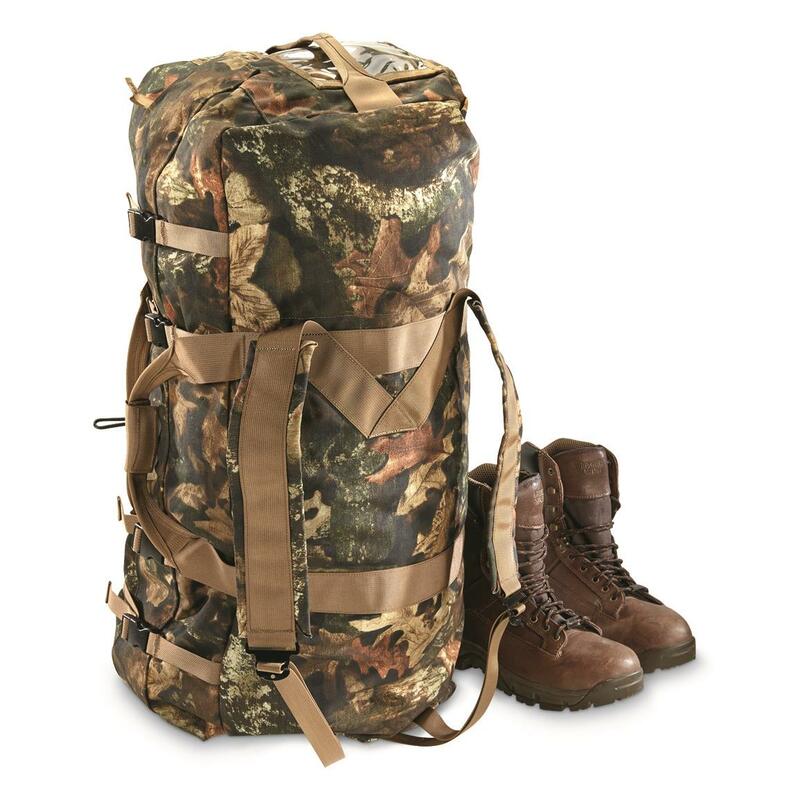 Decked out in a temperate camo pattern, similar to the ones seen on commercial hunting bags. 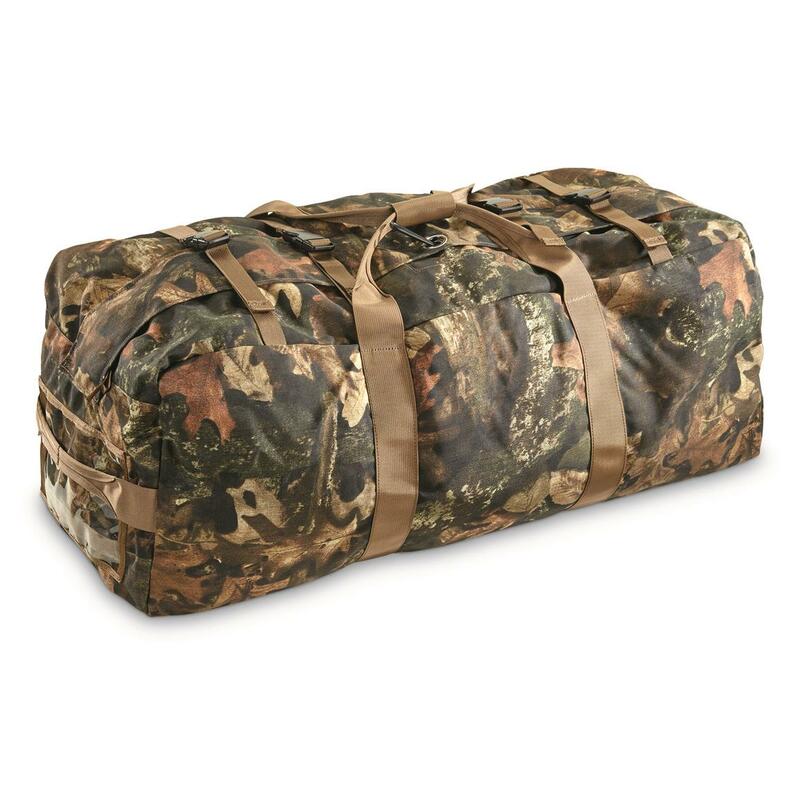 Ready to stow all your hunting, camping, or backwoods adventuring gear. Dimensions: 30 x 12 x 18"h.